Jan van der Heyden was born in Gorinchem in 1637 and lived with his parents from 1639 until 1640 in a house at Eind 24 called De Eland. From 1641 until 1646 he lived in Gasthuisstraat 36. The house at the time called De Wetering, and now De Gulde Capel, still exsists and is in use by a lady fashion store. 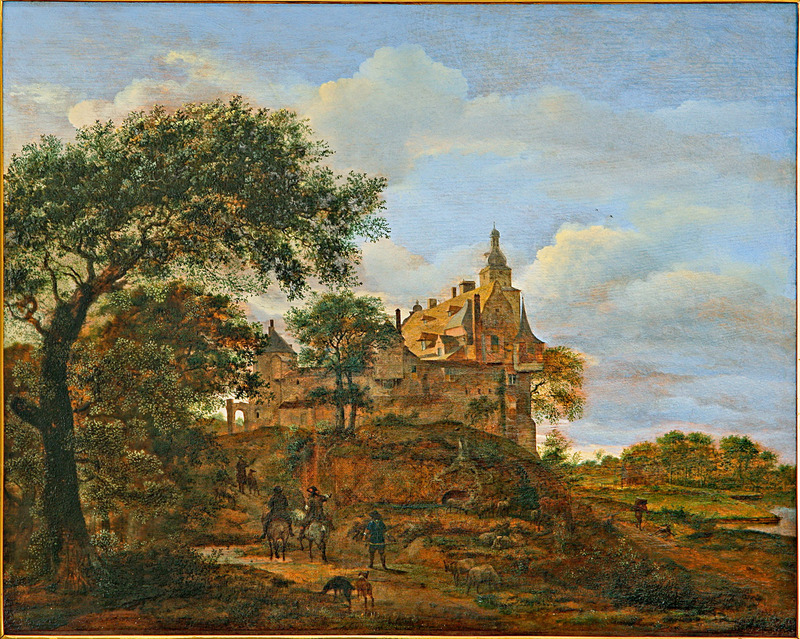 Van der Heyden and his parents left in 1646 for Amsterdam, where he would live the rest of his life, apart from a few journeys along the river Rhine to Germany. Van der Heyden was not only a world famous painter, who even sold a painting of the new City Hall on the Dam in Amsterdam to Cosimo de Medici from Florence in 1668, he also became known as the inventor of the fire hose and the devisor of street lanterns in Amsterdam. 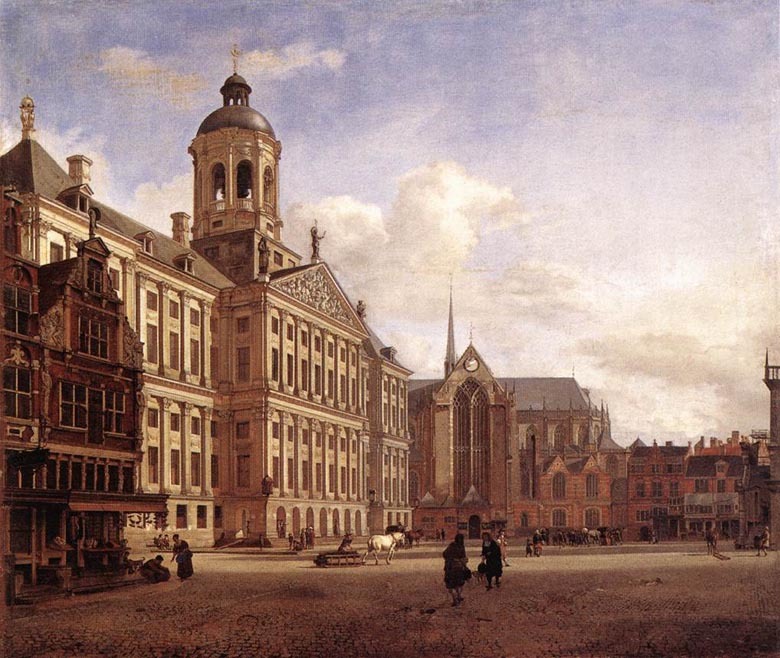 Van der Heyden painted cityscapes, whether or not including additional fantasy buildings, colourful landscapes in the so called classicist style, and a few still lifes. He left approximately 225 paintings, not a large oeuvre in 17th century terms.